Part of Bridget’s program at school involves monthly workshops. An afternoon every month where all of her educational support personnel, the head of her SPED program, her preschool teacher, speech therapist and occupational therapist meet and go over every one of Bridget’s programs. Parents are encouraged to attend so we can follow through with the therapies at home. It also is a time for them to learn what behavior we are seeing at home and vice versa. In the beginning the workshops were pure torture for me. I had no idea what to expect at the first workshop. I had to walk past Bridget’s classroom where the typical kids were doing typical preschool things to see my child in the hallway. She was being “non-compliant” (I despise that word, by the way) and was not allowed to proceed until she uttered the phrase “COME ON”. I tried to balance my understanding of wanting to curtail her stubbornness with making her into a trained monkey. Over the months I would begin to see the humor in Bridget’s ability to out stubborn all but the head of her SPED program. It would still be the hardest part of my month, the workshop, I would dread the day as it approached. Wondering what command they would give that she would refuse. But every month I would attend. I would enter the room and ask the team to take bets on what Bridget would choose to refuse. One month it was to make the sound of a monkey. OO OO AA AA was all she had to say. She refused, would do every other animal sound but that one. Guess what we heard all the way to Niagra Falls? When I finally stopped feeling sorry for myself and frustrated over what I perceived as Bridget’s lack of progress I began to look forward to the workshops. I began seeing the improvements. Small steps at first that lead to huge leaps of abilities. Her therapists made me part of the team, not an observer. I realized that is what they wanted all along. They were not trying to train Bridget to obey but for us to work as a team to make her the best Bridget she can be. They listened to me and her as they adapted the programs to make sense. I began to see in the tug-of-war between letting Bridget be Boo versus letting stubbornness lead to misbehavior all the therapies were balanced with a love for my daughter. In June we had the last workshop of the year. I had not realized that it would be the last workshop of Bridget’s tenure at her school. Next year she is moving into a new program. We are leaving the sanctuary of her integrated preschool program. We will no longer have her angels, those who care and love Bridget as their own child. I know that the team in place for next year will be fantastic. We get to keep the head of Bridget’s SPED program, the one who can out-stubborn Bridget with patience and care. She has said that she is available at all times. Bridget is getting a wonderful SPED teacher. While she has never worked directly with Bridget, I have seen her work with other students and know her on a personal level. Bridget will have two ESPs that have worked with her all summer and in the past. They have assured me that more than a few Bridget’s friends (both typical and extraordinary) from her current preschool will be in her kindergarten class. Yet our ways of communicating with her team are changing. We will no longer have communication books and workshops. We have kindergarten rather than preschool. This new SPED program is brand new, brought on by parents advocacy and the school system wanting to give our children the most supportive program possible. There will be “specials” (music, PE and art) and lunchrooms. A brand new school, a brand new classroom, a brand new teacher, new classmates and new way of doing things. I’m conflicted over the change. Of leaving the safety of her current program, one I know is the number one reason Bridget has had so much growth and success. It breaks my heart to leave her preschool teacher that gave me answers to questions I did not know how to ask. Her ESPs that held my heart in their hands when I broke and when I rejoiced. But this shouldn’t be about me, it needs to be about Bridget. No matter how much I am terrified of the changes, of “moving on” to the unknown. No matter how much I am excited. Bridget is “moving on” to kindergarten with her peers, earlier than I expected or ever thought possible. I have to believe in Bridget and like all parents hope that we made the best choice. As with most things, parenting the typical child and the special child are the same. We are in the same position. 2 years ago we left the comfort of my son’s first preschool for preschool in the school district. He did 2 years of preschool even though the 2nd year was his Kindergarten year. Now we leave the comfort of that preschool program for Kindergarten in a new school. The program that Bridget is going into sounds great! I hope ours has enough inclusion for me (and my son). It’s scary but I’m trying to be optimistic. That is just it, we need to allow them to move forward but it is so hard for me not to hold on to what I know works and is safe. Transitions are so scary (for us more than them, I think). Sounds like a very good program, though. Hope it goes well. Conflicted over change…I get it. Not your specific situation, but how difficult it is to let go of what is comfortable and known to move on to something new. 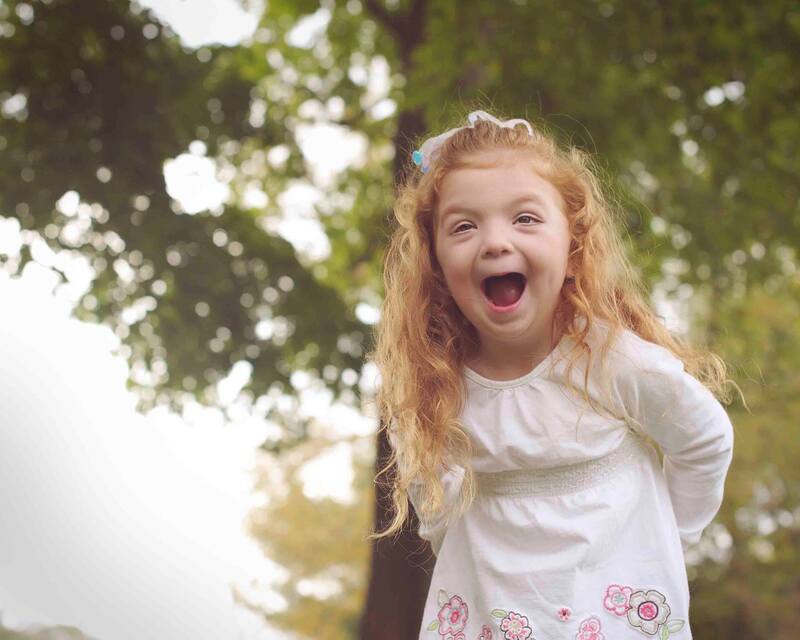 Thinking of you as Bridget transitions to kindergarten…it’s going to be awesome! Keep us posted. I know change is so hard for all of us, isn’t it? Even when it is a good change.